The sixteen century is perceived by historians as the risen of the West mainland occurred where the world changed and began shaping the new world. Spain and Portugal explored and opened the world’s oceanic trade routes. The New World suited Spanish opened trade across the Pacific Ocean linking the Americas with Asia. Whereas the Portuguese developed the sovereigns Asia’s and Africa Indian Ocean trade. 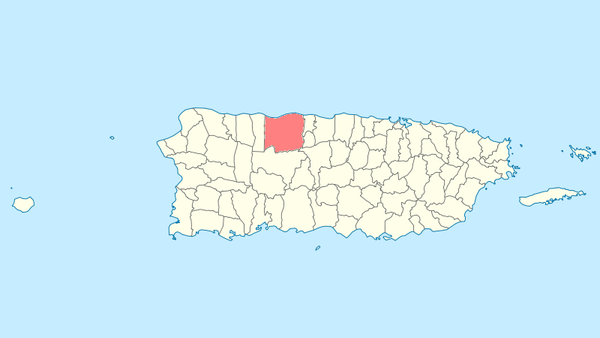 In the course of this century, the municipality of Arecibo was established in 1556 turning the third Spanish settlement. Far ahead, in 1616 once the King of Spain approved beneath the governorship of Captain Felipe de Beaumont y Navarra. The leader of these Indians was called Jamaica Aracibo, their “yucayeque” was named after him and eventually the municipality was called by that same name. Antonio de los Reyes Correa and a handful of Spanish Army soldiers to prevent a British invasion by the Atlantic Ocean lead by Admiral Wellstone in August 5, 1702. 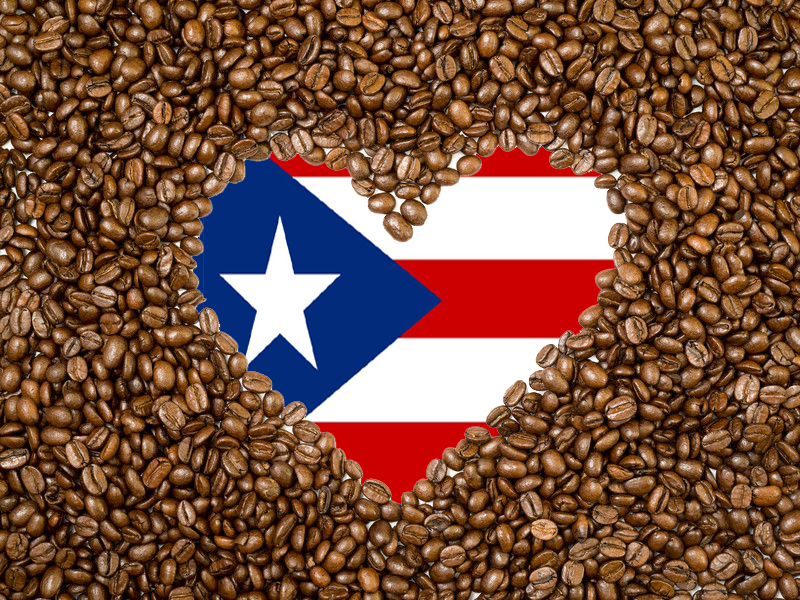 The municipality is also acknowledged as “La Muy Leal Villa del Capitan Correa” granted by Queen Elizabeth II of Spain on March 18, 1948, as it was the first municipality on the Puerto Rico Island to send timber and other supplies to the arsenals of Spain. The Arecibo municipality flag derives its composition and colors from the Shield of the Municipality memorizing the local military hero from Spanish times and the art of the Indians commonly named “Tainos”. Between the 18th and 19th centuries the agricultural and industrial economy consisted of rice crops, corn, ginger, cane, coffee, noodle factories, shoemakers, brick kilns, liquor factories, distilleries, soap factories and several coffee tins. 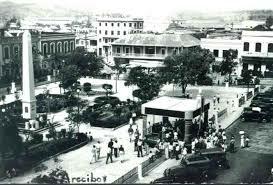 Moreover, the construction and livestock industry was booming on 1950 and Public residences were constructed, streets, avenues, schools, urbanizations. The cane industry in Arecibo began to disappear on 1970 and is replaced by industrialization and high technology organizations. 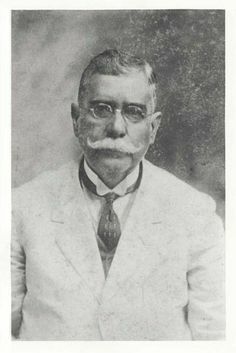 At the commencement of the 20th century, local industries are rum and liquor factories (Puerto Rico Distilling Co.), soap, noodles, shoe shops, cigars, cigarettes, tanneries, coffee, cultivation of smaller fruits and more ahead enters the industry of the needle. The commerce scheme expands with the construction of shopping centers and cinemas. Currently the economy is defined in the industry of electronic products, chemicals, medical instruments, food and tourism. Furthermore, Arecibo municipality was acknowledged by the growth in their cultural atmosphere with several theaters Theater Tanamá, San Luis and Theater Alameda. Distinguished and well-known citizens from Arecibo municipality contributed to the historic-cultural atmosphere such as: marine immortalized for saving people from drawing dying in the raging waters of the bay of Arecibo, Victor Rojas; Captain Antonio de los Reyes Correa Lieutenant, politician and poet, Francisco Gonzalo Marín; 1860 mayor of Arecibo, Don Francisco Ulanga; the writer and poet, María Cadilla de Martinez with her recognized poetry title, “La Poesia Popular en Puerto Rico and “ La Mistica de Unamuno y otros Ensayos” ; doctor, politician, journalist and novelist, Manuel Zeno Gandía” with his most recognized cycle of novels title, “Crónicas de un Mundo Enfermo”; historian, Cayetano Coll y Toste; dramatist, René Marquéz with his most known dramas, “La Carreta” “Los Soles Truncos” and “Mariana; among others. The Arecibo City Hall built in 1866, served as jail to “El Grito de Lares“ participants in 1868. In 1918, the frontal section of the building was destroyed by an earthquake triggering the repairs of the historic building to include a tower and clock. In 1978, the historical building was restored to its original form. 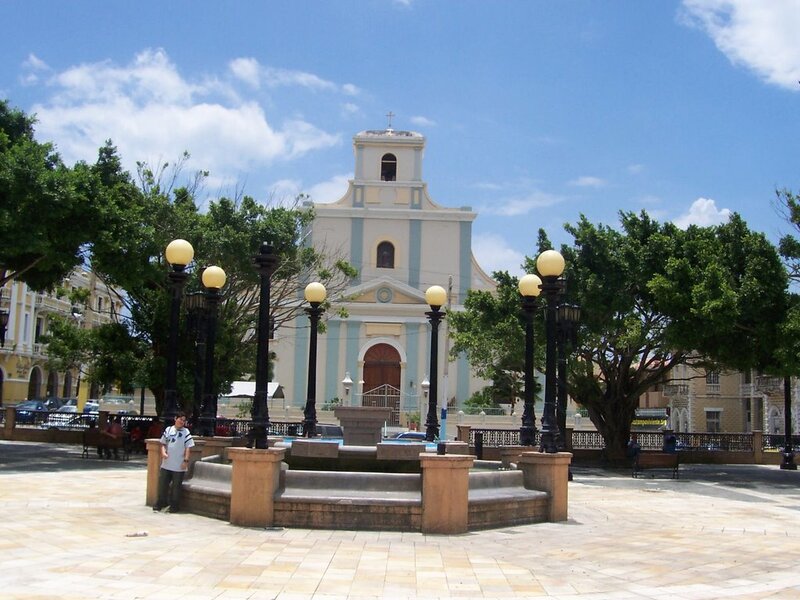 Nearby the City Hall, tourists can acknowledged the second-largest church after the Cathedral of San Juan, the Cathedral of Saint Philip the Apostle constructed in the late 18th century. Neoclassic adornment is used in an academic fashion on the lowest stage, but the other two show a less traditional use of bands and pilasters. The Renaissance-style windows are uncommon in Puerto Rican churches, but the later addition of the central tower over the entrance is a common theme used throughout the island. 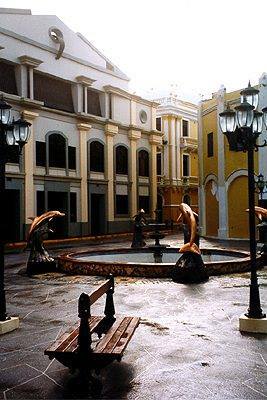 Arecibo” remodeled on 1999 and recognized as the social center for Arecibo citizens for approximately 200 years complemented with the Dolphins Fountain, Oliver Theater and Oliver Building. 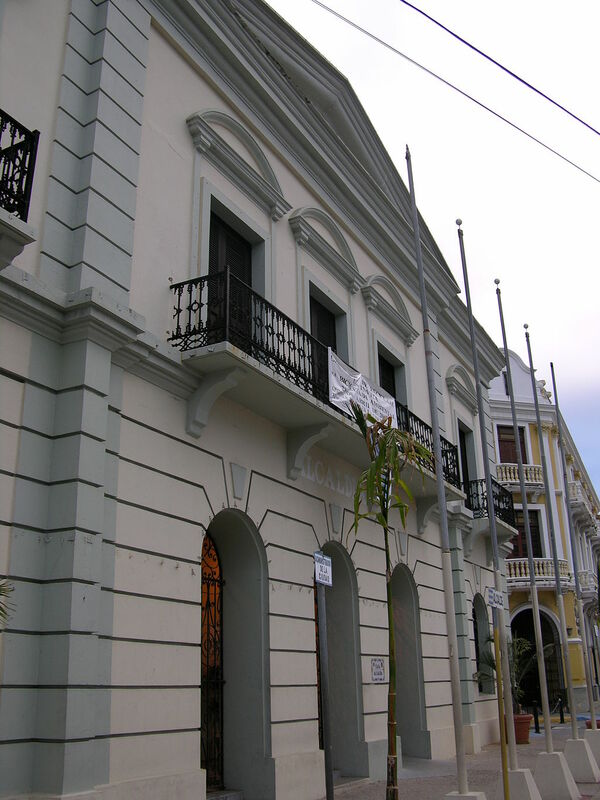 The Cultural Center of Arecibo commonly named as Casa Ulanga it was being used as the residence of Francisco Ulanga from Santander, Spain, also as a banking institution, commercial, mayor, hospital, jail and court. Today it houses the Cultural Center of Arecibo. Their architecture becomes an equal part of a village’s history. 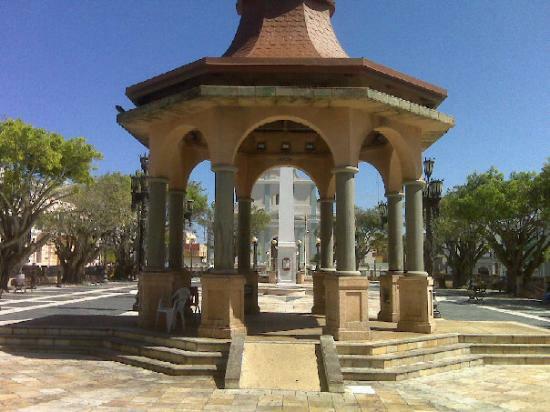 In the proximities of Casa Ulanga, tourists can encounter the Victor Rojas Fort of Arecibo is a cultural features park. 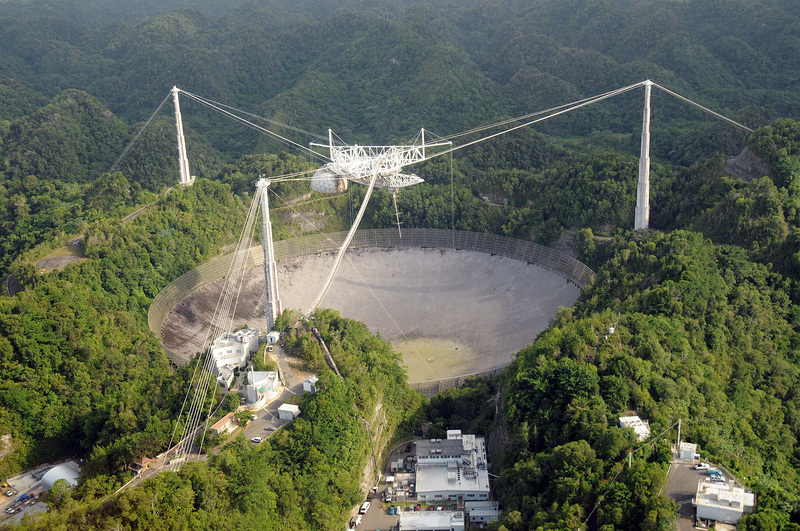 Arecibo Observatory is an astronomical observatory massively documented as the world’s largest single-dish radio telescope, located 16 km (10 mi) south of Arecibo. The most powerful radar-radio telescope was conceived in 1958 by a Cornell University professor of electrical engineering, William E. Gordon and it is operated under a cooperative agreement with the National Science Foundation (NSF), SRI International, Metropolitan University (UMET), Universities Space Research Association (USRA), and the National Aeronautics and Space Administration (NASA). The 58 years radio telescope was inaugurated in 1963 and employs a 1,000-foot (300 meter) spherical reflector consisting of perforated aluminu m panels that focus incoming radio waves on movable antenna structures positions about 500 feet (168 meter) above the reflector surface. The antenna can be moved in any direction, making it possible to track an astronomic object in different regions of the sky. It gathers radio astronomy, terrestrial aeronomy, and planetary radar data for scientists around the world. The telescope was featured in the movies GoldenEye (1995) and Contact (1997). 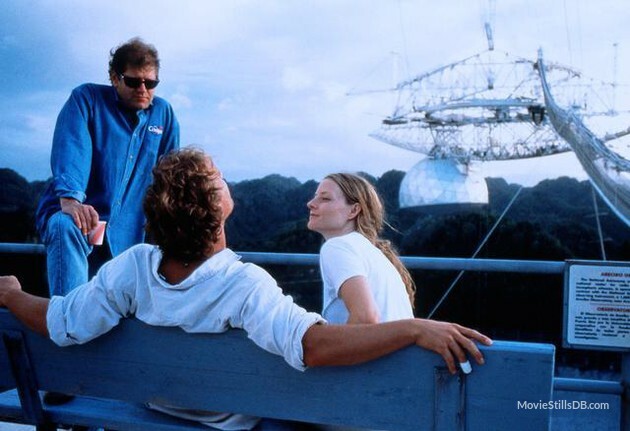 Particularly, the Contact movie is based on a novel by Carl Sagan, who acknowledged the dramatic endeavor of cosmic phenomena represented in its heroine as a radio astronomer named as Dr. Eleanor Arroway (Josie Foster). 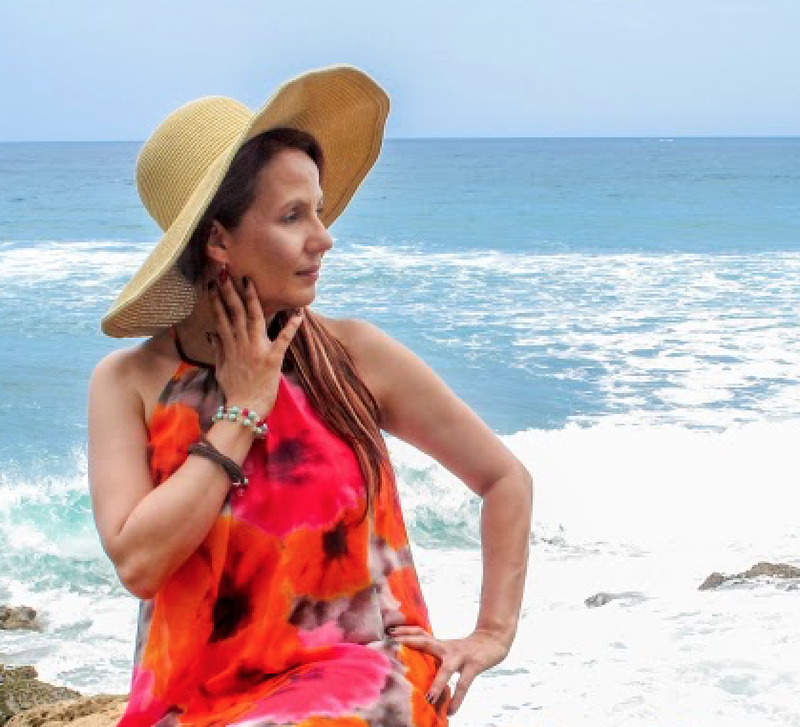 The beautiful view of the north ocean land and beaches are mainly located in the neighborhood of Islote in the municipality of Arecibo with a group of areas as follows:, “Caño Tiburones”, Arecibo Port Beach, Arecibo Port, Arecibo Lighthouse Historical Lighthouse, “Poza del Obispo” Beach, “Caza y Pesca” Beach, Cave of the Indian, Christopher Columbus Monument, and Cambalache Forest Reserve. Arecibo Lighthouse Historical Park built by the Spaniards in 1898 after the Spanish-American War occurred and it’s still in use and was automated in 1964. Actually, the lighthouse is a museum with exhibits, a recreation area, a restaurant and sports facilities. 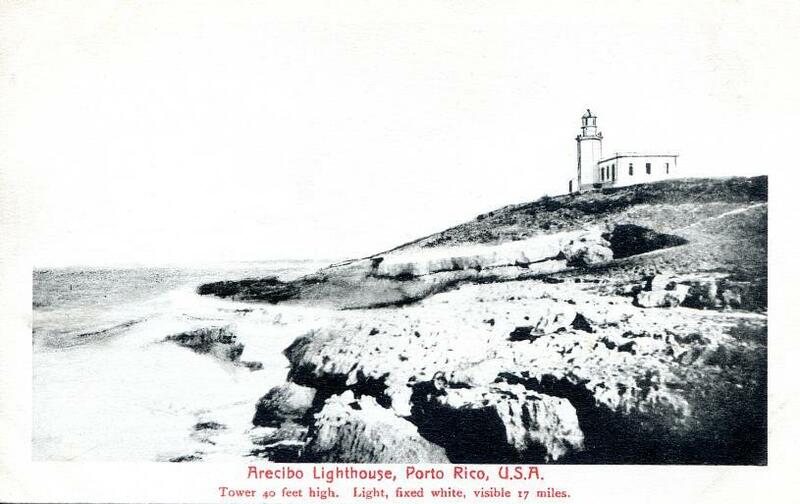 The restored lighthouse contains original marine artifacts, the outstanding Atlantic Ocean and Arecibo town views. On February and March months, tourists could watch the whales on the Atlantic Ocean. Nearby the lighthouse tourist can find the “Poza del Obispo” or Bishop’s Pool, in honor of a bishop that was rescued there in the late 18th century. The natural ocean pool is formed by an opening in some large limestone outcroppings, which act as natural wave breaks creating some amazing sprays of water when the waves crash over these huge rocks. 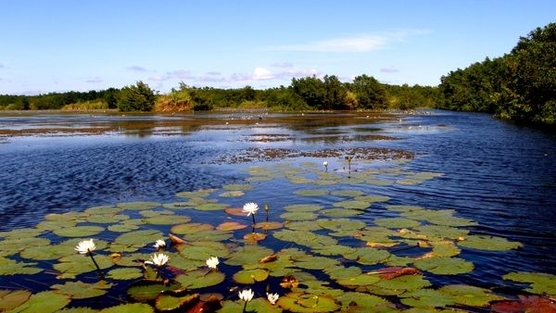 Adjacent to the Arecibo Lighthouse is located the Nautical Club of Arecibo and the natural reserve and laboratory of geosciences consisting of estuarine, palustrine and lacustrine wetlands with around 200 animal species and more than 100 flora species. “Caño Tiburones”. Several miles away tourists discover the “Caza y Pesca” Beach the preferred landmark for surfing and enjoy a lovely picnic lunch with family. site is located on the shores of the Atlantic Ocean in the neighborhood of Islote. The magnificent view of the Atlantic Ocean from the cave is complemented by the beautiful ocean big waves crashing on the rocks and beaches, also the largest number of petroglyphs found along the coastal zone made by the Taínos Indians that lived in this area in the Prehistoric Era. There are enormous cliffs, arches, caves, as well a natural bridge. The Puerto Rico Planning Board categorized the Cave of the Indian as a Natural Reserve managed by the Department of Natural and Environmental Resources. 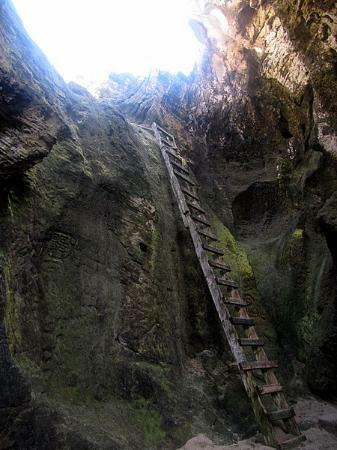 One of the locations used for the movie Pirates of the Caribbean: On Stranger Tides was the Cave of the Indian in Arecibo among other locations in Puerto Rico on which Captain Jack (Johnny Deep) was recorded on the film. In the proximity of the Cave of the Indian there is the coming soon tourist attraction, Christopher Columbus Monument: Birth of a New World. 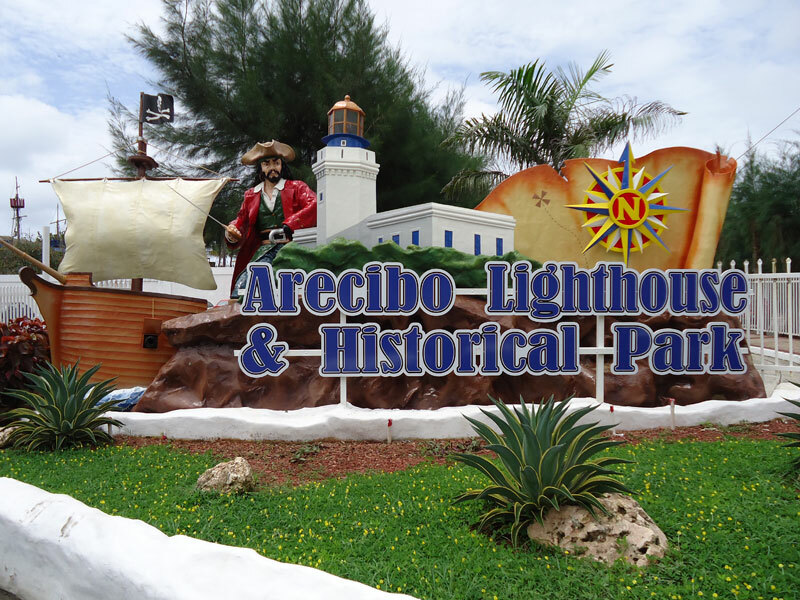 This attraction highlight the renaissance and the entrepreneurship spirit of citizenship from the municipality of Arecibo. 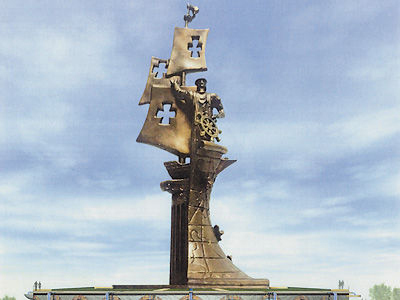 The Columbus 350ft statue was a huge sculpture by Zurab Tsereteli’s that almost doubles in height to that of New York Liberty. Another natural reserve is Cambalache Forest Reserve as nursery plantations of eucalyptus, teak, and mahoe trees. 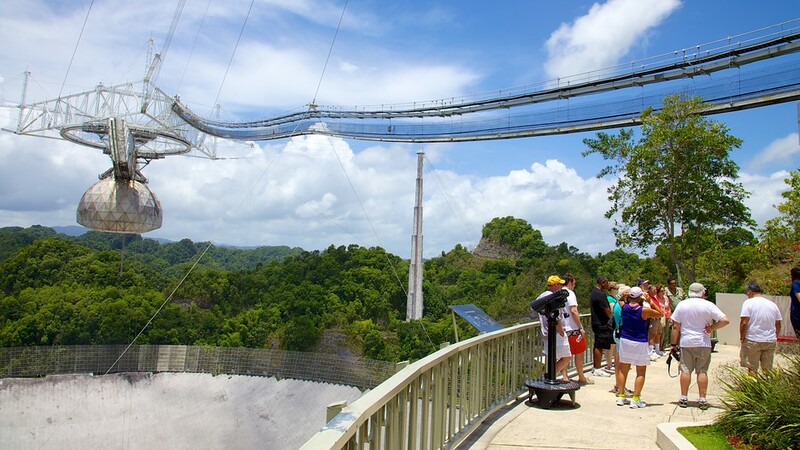 Ignite the mind and discover the wonders of science, astronomy, archeology and natural reserves as the most popular attractions in the municipality of Arecibo.